Susan is well known as both actor and a writer. As an actor, she has played leading roles across Canada, including the Stratford Festival, the Shaw Festival, the Tarragon Theatre, Edmonton’s Citadel Theatre, and Soulpepper Theatre Company. 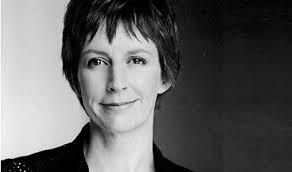 She is the author of a bestselling memoir, Kingfisher Days which she later adapted for the Tarragon Theatre. She has also adapted plays by Turgenev and Chekhov for the Shaw Festival, Stratford Festival and Soulpepper Theatre Companies. For television, she co-created and co-wrote the acclaimed series Slings and Arrows for which she won multiple Gemini awards. She also co-wrote the CBC miniseries, The Best Laid Plans. Her most recent project is an adaptation of Anne of Green Gables for television. Susan is a graduate of Queen’s University and the National Theatre School of Canada and a founding member of Toronto’s Soulpepper Theatre Company.